Jantoon Reigersman is a highly seasoned financial operator with significant experience in startups and growth companies. His first book, Straight Talk for Startups: 100 Insider Rules for Beating the Odds--From Mastering the Fundamentals to Selecting Investors, Fundraising, Managing Boards, and Achieving Liquidity (HarperBusiness), which is co-authored with venture capitalist and bestselling author Randy Komisar, offers essential guidelines for achieving success in startups and beating the odds. 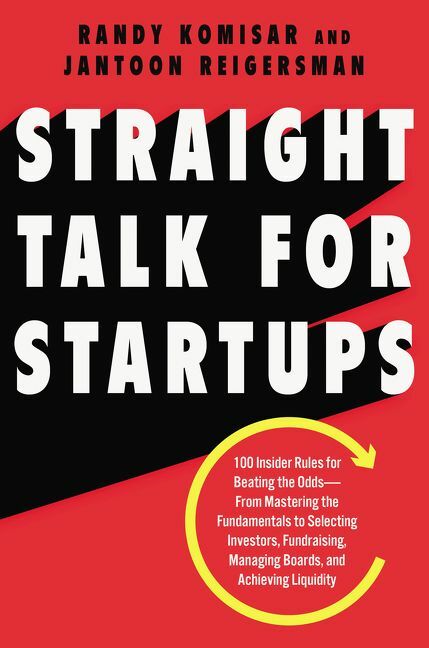 Straight Talk for Startups offers actionable advice from Komisar and Reigersman’s many years of experience, along with real-life examples for anyone running, working for, or thinking of creating a startup and seeking venture capital. Reigersman serves as Chief Financial Officer of Leaf Group (NYSE: LFGR), a publicly traded diversified consumer internet company that builds enduring, creator-driven brands that reach passionate audiences in large and growing lifestyle categories. Earlier in his career, Reigersman was the CFO of Ogin Inc., investor and member of Goldman Sachs’ European special situations group and M&A investment banker at Morgan Stanley. He also initiated and led the 9000METER expedition, the first expedition to attempt 9000 vertical meters on human power by diving over 152 meters below sea level and by climbing the summit of Mount Everest at 8848 meters. Reigersman earned his Master of Science degree in Finance as well as his Master in International Management by CEMS at Rotterdam School of Management and HEC, Paris. 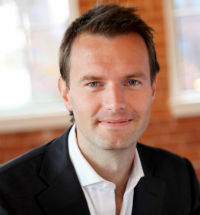 Reigersman is also an alumnus of Harvard Business School and graduate of GMP15. Reigersman is a Fellow of the inaugural class of the Finance Leaders Fellowship and a member of the Aspen Global Leadership Network. Reigersman is based in Southern California.